Check out the poll to the right. Please vote for the top 100/200 sprinter (boys) in Northern California HS Track and Field history. 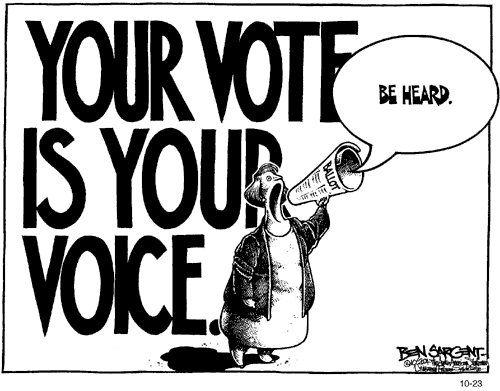 Please vote only once. Do some research if you are not familiar with all the names. What are your goals for this coming Track and Field season? Today is the first official practice for Central Coast Section Track and Field athletes. What are your goals for this upcoming season? How fast do you want to run? How far do you want to jump? How far do you want to throw those implements? Who is aiming at the state meet? Team goals? Are there other such links for Northern Section? Oakland? San Francisco? Other sections? The Registration for the 2013 Bay Area Running Camp is now open. The camp dates will be July 22nd through July 26th. We doubled our enrollment last year and space will be limited. We will have another great lineup of speakers, energetic camp counselors, beautiful running areas, lots of contests with prices and much more. A speaker started off his seminar by holding up a $20 bill. He then asked, "Who would like this $20 bill?" Hands started going up. He said, "I am going to give this $20 to one of you, but first, let me do this." He proceeded to crumple the $20 dollar bill up. He then asked, "who still wants it?" "My friends, we have all learned a very valuable lesson," he said, "no matter what I did to the money, you still wanted it because it did not decrease in value. It was still worth $20." We feel as though we are worthless. But no matter what has happened, or what will happen, you will never lose your value. Dirty or clean, crumpled or finely creased, you are still priceless ... and especially to those who love you. The worth of our lives comes not by where we've been or what has happened to us, but by WHO WE ARE. "You are special - Don't EVER forget it." 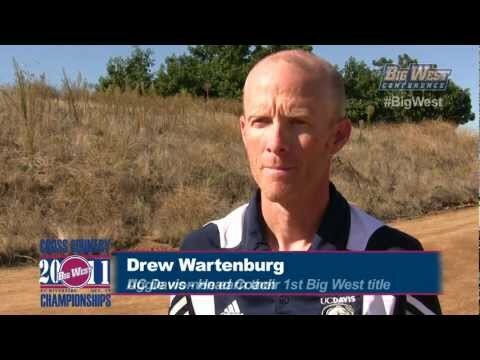 Today we chat with the director of Track and Field and Cross Country at UC Davis, Drew Wartenburg. He got his start in coaching at the Division V level at Chadwick School in Southern California. He then proceeded to the state of Washington to coach, teach and administrate at Charles Wright Academy before his next stop at Oregon State University. Drew has been at UC Davis for the past four and a half years leading the Aggies to the success you will read about below. Former Aggie and current UC Davis assistant coach Kim Conley, qualified for the 2012 Olympic team in dramatic fashion under Drew's guidance. 1) What was your athletic experience in your youth? Sports? Highlights? I spent every waking minute outdoors when I was young, mostly playing one sport or another. My early 'running,' in kindergarten and first grade, involved racing older kids from my neighborhood to school, and throughout my formative years I played whatever sport that was in season, something that has essentially disappeared during our current age of specialization. There is no running background in my family, and I primarily split my time between soccer, basketball and baseball. My 'dark secret' is that I played soccer at the HS, club and collegiate level, and I sometimes wonder what might have been if I had been pursued by a zealous distance coach while in HS. I did run my first 10k when I was 12 years old. I finished second in my age group after the guy that I was running with told me that he was older than he actually was and then beat me. I won a pair of running shoes for second place but didn't find the love of distance running at that point. 2) Who were the coaches that had a big impact on you? What did you learn from them that you use to this day? The best models that I have had athletically and professionally truly embody the model of coach as teacher. I grew up as a collegiate faculty brat and enjoyed the good fortune of having coaches as family friends from my earliest memories. My freshman baseball coach in HS also taught history, and I can still remember some of the life lessons he tried to pass along long after all of his baseball advice has been lost. My HS soccer coach, Ron Celestin, was also one of the kindest, classiest and most competitive people I have competed for. The best coaches I have worked with have always, in some way, stressed the need to be good both in and away from the competitive environment, and I think the way in which the running lifestyle and community fosters that relationship better than other disciplines has a lot to do with why I ended up at home in this sport. 3) What led you into teaching and coaching? Teaching and coaching was never a lifetime goal, but like many seemingly foregone conclusions, I ended up in this line of work largely without realizing exactly what the end objective was. Having grown up within educational settings, the fit of a teaching atmosphere seemed natural, but it wasn't until I had spent a year and a half working in a homeless and runaway shelter in Mexico that I consciously decided to pursue a career in education. Despite my lack of formal preparation I was fortunate to land a job teaching Spanish at Chadwick School, in Palos Verdes, following my time in Mexico. 4) What was your first coaching experience and what did you learn from that experience? Highlights? Between college and departing for Mexico, I was able to work alongside my old HS soccer coach for one season as the JV coach. Much of what I thought of as highlights at the time would probably seem pretty embarrassing now, as I know that at that young age I was as concerned about making sure I looked like I knew what I was doing rather than actually knowing what I was doing. My guess is that I probably gave a little too much grief to referees and athletes instead of making sure I was fully in command of my coaching plan. At Chadwick, I coached in both the cross country and soccer programs since seasons did not conflict. I feel lucky to have been a part of two girls' state titles in cross and a CIF title in boys' soccer while there. 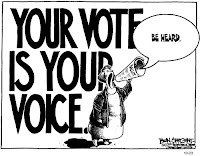 5) What was your next coaching experience? How did you end up in another state? Highlights? After deciding that living at the beach in SoCal wasn't something that I could afford to do forever, but sure that the West Coast was the place to be, my sights fell on the Pacific Northwest. A fairly focused search yielded an opportunity to teach and coach in Tacoma, WA, at Charles Wright Academy. Like Chadwick, CWA offered another small, independent school environment, and part of the challenge there involved resurrecting a cross country program that was all but extinct. Results the first year in both cross country and on the track were mixed, but I had an excellent and supportive AD that pushed me in my role at the helm of both programs. Washington is truly a running hotbed, and the level of competitive opportunity lent itself to the ability to build some running tradition there. On both the men's and women's sides we were fortunate to have numerous individual cross and track title winners, and runners like Tom Wyatt, Alex Crabill and LIzzie Jewson really helped put our small program on the map beyond the state level at The WA/OR Border Clash, Foot Locker, Arcadia, etc. 6) Your next coaching stint was at the college level at Oregon State. What were your responsibilities there? After 13 years of secondary school teaching, coaching and administration, I took a leap of faith and resigned without a clear idea of where I would land in the coaching world. Going in, I realized that the move to the collegiate ranks was going to require some heavy sacrifice up front, but it took until early September 2007 for me to secure a spot on staff as an assistant coach, without pay, at Oregon State. I had driven down to Corvallis to meet with Kelly Sullivan, and although I think he was as unsure as I about the journey that I was embarking on, he told me that if I wanted he would put me to work as many hours a week as I wanted. As an assistant coach, I had to make sure that my personal coaching philosophy and agenda were completely shelved while making sure that I still carried Kelly's message forward in my own manner. Kelly's personality and style allowed me great latitude and wide berth to be a hands on and completely involved member of the staff, including all coaching and recruiting duties. 7) What did you learn during your time at Oregon State? Highlights? Aside from using my year at OSU as a chance to put every aspect of someone's training plan under the lens, comparing it to my own ideas in the process, I was able to get up to speed on the unfathomable amount of work that occurs 'off the track' at the collegiate level. It is hard to express the burden that the required paper trail and time investment that good recruiting entail, and experiencing those elements firsthand were true eye openers. In the fall, hosting the PAC-10 conference cross country meet and a related alumni reunion was a highlight, and throughout the course of that year I got to see the very early wheels go into motion as the process to raise funds and plan the new track facility got underway. 2008 was also an Olympic Trials year, and although I was consumed with the search for a paying job at the time, the opportunity to go to Eugene every day with Kelly was a like earning extra credit in my year-long coaching class. 8) How did you end up at UC Davis? How was the transition to leading your own college program? The coaching world is a small one, and after learning of the opening at Davis, Kelly's previous relationship with Dee and Jon (Vochatzer) provided the foot in the door as their search process unfolded. After spending the early part of the summer waiting for something to emerge, I remained hopeful that the buzz of the Olympic year would create some job movement, and it was actually in Eugene during the Trials that I was able to meet Coach Dee and Coach V for an informal lunch. From there, a campus visit and formal interview followed, and although it felt as though it took an eternity, on July 20, with most of my belongings already packed in boxes, I accepted an offer to join the Aggie staff. It was difficult to comprehend the good fortune I had to land a job in a program like this one, where transition and growth put everything right on the cusp of a very exciting future. While the prospect of being handed the reins of both the cross and distance track groups was daunting in its magnitude, it also represented the fruition of exactly what I sought some 15 months earlier when I decided to pursue a college position. 9) What have been some of your highlights during your tenure at UC Davis? My four and half years here at Davis have provided quite a whirlwind of experiences in many ways. The face of the program is drastically different than it was when I arrived in ways that I certainly did not foresee, and I can honestly say that not a year has gone by without it's share of challenges to keep me on my toes. There are a number of individual success stories that provide true highlights for me as a coach along for the ride, but in our program we truly seek team success, and that makes the men's 2010 cross country title and the 2011 and 2012 women's cross and track titles truly special moments. Our staff invests a lot of time and energy in preparing each individual in order to create full, synergistic team success, and seeing a group achieve at a high level proves extremely satisfying. 10) Tell us a little about Kim Conley and her amazing ride to qualifying for the 2012 Summer Olympics in the 5000m. I have never met a runner that truly loves to both train and compete as much as Kim does. Her road to London began somewhere in Santa Rosa, long before I came on the scene, although at some point in the year leading up to the Games I think the possibility became a more conscious conversation point and objective. When Kim first decided to base herself here in the Davis area for her post-collegiate career, we charted a plan that involved working on both her strengths and weaknesses during a three-year period in order to maximize the odds of being in contention at the Trials. It would be irresponsible to say that talent doesn't play a large role in the success of an athlete at the professional level, but belief, consistency and focused efforts will also carry talent a long way, and those crucial elements all have a lot to do with Kim's evolution as an athlete. Kim's involvement on the coaching side of things here at Davis has also granted her some very good insight into training theory and design, and that allows us to work collaboratively on some aspects of the training plan. Some days it's still hard to believe how everything fell into place last summer, but at the same time we are already a long way down the road for exciting opportunities on the schedule for 2013 and beyond. 11) During your coaching career, who have been your most influential coaching mentors? There is no way to put into words the profound debt I owe to Kelly Sullivan. In the college coaching world Kelly does have something of a reputation for being a 'coachmaker' and putting people on the path to jobs, and regardless of how much stock one wants to put in those accounts, Kelly stands unparalleled as an outstanding mentor in coaching, educating and caring for athletes. The time I spent on staff with Kelly made it difficult to leave Oregon State and difficult to not return when that opportunity arose, but Kelly also told me numerous times that the ultimate goal as a coach is to be your own boss and operate as the head of a program. Kelly's diverse and deep roots at the collegiate coaching level give him a wealth of perspective and experience that I, and numerous other coaches, still call upon when seeking guidance. Using someone as a lasting and trusted confidant may be the the highest compliment that anyone can pay a mentor, and as many times as I ever line a team or runner up against Kelly I would still show him every card I have in my hand before making a play. 12) What are the training and coaching differences between coaching high school and college distance runners? To a great degree, running is running at any level, but the relationships between a coach and athlete take on some distinct forms across different age groups, and a lot of that has to do with the maturity level of the athlete him/herself. As a longtime HS teacher and coach I feared losing the personal connection that I had with athletes that I saw every day in the classroom and hallways before practice, knowing that such contact was an important component of the coaching role at that level. At the college level, athletes have just as many needs, and arguably more personal pressures, with the added component of living and functioning independently as young adults. My approach always presupposes 50% of the equation coming from my end with the other 50% resting squarely on the athlete's shoulders. That may mean greater or lesser demands on my coaching input, depending on the athlete's commitment level, but there always has to be balance. I still believe firmly in tailoring expectation and work levels to the individual, and it's unavoidable that the demands at the college level exceed those that I would have held for any HS runners. Athletes at any level also have to remember that, at the end of the day, they do this not for a coach, parent, friend, etc., but for themselves. We all runners that found their way to running for one of those external impulses, but the ones that commit to running and succeed over time are those that find the intrinsic motivation and love for the craft. 13) As a former high school coach now coaching college, what is your advice for a current HS distance coach? My time as a HS coach did a great deal to set me up for any success that I will have during my career, for those years are where I truly learned how to coach and develop athletes. Regardless of what level you coach, you have to have an articulated philosophy; constantly assess and grow; and set goals to exhaustively pursue every day, season and year. One of my biggest regrets now is the lack of time and open exchange necessary to learn from fellow coaches. Once you stop learning and developing as a coach you have fallen behind and are failing to hold up your end of the load where athletes and teams are concerned. Seek out people to challenge the way you think, plan and execute the way you run your program. Establish a vision, chart the plan to get there and move forward undeterred. Nothing good ever happens by accident, and if we wait for success to find us most of us grow bitter or tired long before capturing lightning in a bottle. 14) What is your advice for high school runners who have aspirations of running in college? What training advice do you have for them that will best prepare them for college running? There is a program for every HS athlete that wants to pursue running at the college level. The hard part is finding the program and coach that fit. Without overstating our own importance, I would say that most HS runners fail to realize the importance that a coach's influence is going to have on the 4-5 years that they spend in the collegiate setting. It's hard to paint any broad brush training advice, since I believe strongly that an athlete should buy completely into whatever the plan in place may be in his/her current situation. Consistent performance and progression are both very important, and it is also crucial to remember that results in this sport do not come easy. 'College running' is about a lot more than running, and that fact is confirmed for me every June by frosh as they their first year here. Almost everyone underestimates the summer between senior year of HS and college report date. Don't be that guy or gal. Put in your summer miles and arrive with something to prove. Thanks for the opportunity to share some of what I have learned along the way. Hopeful people can pull one or two pearls of wisdom from the preceding jumble of thoughts. Enjoy a great upcoming season on and off the track. Thank you again for your time. Best of luck to all your athletes in 2013 and beyond. I know we are very close to the start of the Track and Field season but here is something to keep in mind for next Cross Country season in regards to course maps. Finish Lynx Clinic is set for Feb 17th at St Francis HS from 9:00-4:00. Photo courtesy of Freeplay Magazine. If you know of others, please send me (albertjcaruana@gmail.com the info and I will add or you can add the info in the comment section below. Check out the Hall of Fame class as well as all the honorees for their achievements this past year. "Unfortunately, the clinic for this Saturday at San Ramon Valley HS has been cancelled due to a couple of unforeseen events. I am trying to gather some information from the speakers to email out to all interested coaches. Sorry for the late notice." The top 6 qualify to the state meet from the Southern Section unless you can qualify by surpassing the 2013 At-Large Time Standards. Additions? Changes? Comments? Wildcards: Alana Jones Laguna Hills HS, Sydney Segal Beverly Hills HS, Ashley Helbig Great Oak HS, Veronica Yamane Arcadia HS. All information for this clinic can be found at this link. Former San Ramon Valley HS runner Scott Bauhs and Montgomery HS runner Kim Conley both recorded top 10 finishes this past Saturday at the IAAF Cross Country Permit meeting in Italy. The top 3 qualify to the state meet from the Central Section unless you can qualify by surpassing the 2013 At-Large Time Standards. Additions? Changes? Comments? Only the winner qualifies to the state meet from the Northern Section unless you can qualify by surpassing the 2013 At-Large Time Standards. Additions? Changes? Comments? I found this on the letsrun.com message board. How do you compare with other states? Ready or not, 2013 has arrived and we are still here (Hello Mayans!). Hopefully it will be a lucky year for everybody when it comes to running and hurdling fast and jumping and throwing far. First, we are going to take a peak at the top NorCal distance runners for the upcoming Track and Field season. Based on this past Cross Country season, there will be plenty of intrigue when it comes to our local athletes competing against the best runners in the state. The Defending Champion: There are 6 opportunities to win a state title as a distance runner (boys and girls sides) and last year, junior Nikki Hiltz of Aptos HS took the 1600m. state crown for the lone NorCal victory. She qualified for the state meet as a freshman by finishing in 2nd place at the CCS meet but didn't run at the state meet. 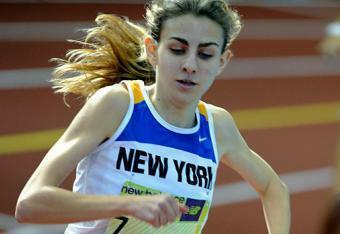 She doubled up (800 and 1600) at CCS as a sophomore and won both races. She finished in 3rd place at the state meet as a sophomore in the 1600m. Last year, Hiltz turned the CCS 1600/800 double once again in even more impressive fashion. She defeated defending champion Cami Chapus at the state final to win her first state championship in 4:42.45. With her impressive junior Cross Country and Track and Field seasons, Nikki was able to secure a scholarship to the University of Oregon in the fall. The Freshmen Girls: Every new school year brings a new crop of freshmen and this year includes the best potential group of freshmen girls in Northern California history. Now that is a quite a statement and I might not be enough of an authority to make it but if this isn't the best class of girls, it's up there. The best of them all during Cross Country was Maggie Bell of Granite Bay HS (State Division 2 champion). Unfortunately she will not be racing on the track this spring so next in line is a group of girls that will hold their own just the same. If the times next to the athletes seem too good to be true, then they are more than likely 1500m. or 3000m. times. Chloe Pigg (2:24.70/5:00.38) led Arcata HS to a 2nd place finish at the CA state XC meet in Division IV. Her dad Mike was a world class Triathlete and has helped coach Chloe before and during her developing high school career. Fiona O'Keeffe (2:25.90/5:17.10) of Davis HS finished in 6th place at the CA state meet in the Division 1 race. Lauren Jacob (4:49.99/10:32.12) of Los Altos HS had the 3rd fastest time overall at the CCS meet in Toro Park trailing only Vanessa Fraser and Danielle Katz. The rest of the freshmen girls in no particular order include Annaka Green (2:18.01/4:44.27/10:46.93) of Amador Valley HS, Priscilla Lee (58.46/2:14.27/4:50.58) of Evergreen Valley HS, Megan McCandless (10:50.29) of Granada HS and Brooke Starn (4:45.28/10:23.75) of Monte Vista HS. Chloe Hansel of Las Lomas HS and Kendall Derry of Bella Vista HS led their respective schools during the Cross Country season to top 10 state rankings. The Injured: As with any sport, injuries are an unfortunate part of the equation. The already mentioned Nikki Hiltz missed the entire Cross Country season due to a right foot stress fracture. There is a chance she could be back racing this coming Track and Field season but that has not been confirmed yet. Karlie Garcia of Oakmont HS missed the majority of her senior Cross Country season following a 5th place at the Foot Locker national meet as a junior. 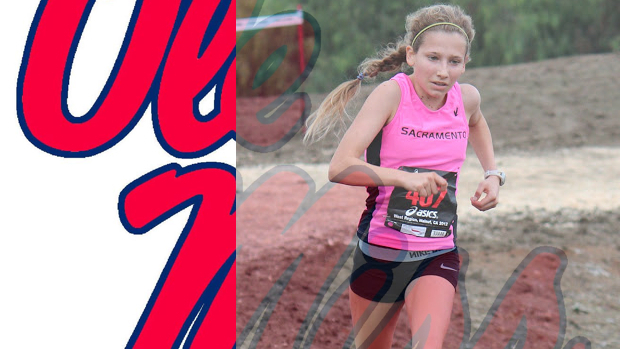 Anna Maxwell of San Lorenzo Valley HS dealt with illness at the end of the recently completed Cross Country season. She was spectacular during Track and the majority of her junior XC season. Teammate Cody Johnson, last year's CCS 800m. champion and 5th place finisher at state, was shut down during XC due to to a hamstring injury. Blair Hurlock of De La Salle HS led the way for the Spartans but also had his season ended early with a lower leg injury. Annaka Green's XC season never got off the ground due to a stress fracture. The Impact Players: In no particular order. There are plenty of runners that could have an impact at their own section as well as the state meet. Yohaness Estifanos (4:13.81/9:08.06) of Milpitas HS had one of the best XC seasons in CCS history. John Lawson (4:18.55/9:12.23) of Sir Francis Drake HS finished 9th at the Footlocker national meet. Julia Maxwell (5:00.87/10:27.99) of Branson School won the state XC meet in Division V for the 2nd year in a row, qualified to the Footlocker national meet and last year finished in 4th place in the 3200m. at the CA state meet. Eugene Hamilton III (1:52.84) of Bishop O'Dowd finished a close second at last year's NCS MOC and got valuable state meet experience. Madison Ricks (2:09.52) of California HS was NCS champion last year and this past fall ran XC for the first time which bodes well for her this coming TF season. Nijae Jones (2:10.39) of San Leandro HS gave Ricks all she can handle at NCS and then finished one spot ahead of Ricks at the state meet with a 6th place finish. Cody Johnson (1:52.44) won CCS last year in dominating fashion and is the 2nd fastest senior returning in the 800m. in California. Anna Maxwell (2:10.87/4:48.11/10:21.04) is a triple threat in all the distance races. Nikki Hiltz is the defending state champion in the 1600 and will be a major threat to repeat if she returns from injury. Kylie Goo (2:10.52) of Westmoor HS gave Hiltz all she can handle at CCS in the 800m. and qualified to the state final with her PR. Faith Makau (4:59.08) of Enochs HS was SJS champion and one of the last qualifiers to the state 1600m. race with her sub 5 minute effort. 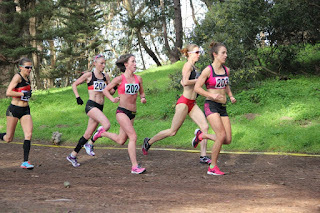 Vanessa Fraser (4:54.32/10:28.63) of Scotts Valley HS is usually out shined by her league meets Maxwell (Anna) and Hiltz but she has more than held her own with multiple state championships in Cross Country and a 7th place finish in the 3200m. at last year's state meet. Madeleine Ankhelyi (4:55.96/10:34.72) of Vista del Lago HS finished in 3rd place at the CA state XC meet in Division III and was a top 10 finisher at last year's 3200m. at state. Jena Pianin (4:59.72/10:40.21) of Amador Valley HS finished just behind Ankhelyi at the CA state TF meet and was 3rd place this past XC season in the Division I race behind the 2 fastest runners in the entire meet. Richard Ho (9:13.41) of Leland HS chased Estifanos to one of the fastest times on the Crystal Springs course this past XC season and finished in 7th place at the CA state XC meet. Aidan Goltra (9:32.91) of Campolindo HS had to sit out the first month of XC season following his transfer but finished the season in grand fashion taking the Division III section and state titles. Trent Brendel (4:21.56/9:23.98) of Granite Bay HS was voted SJS XC runner of the year and will be favored to take the 3200m. this season. Danielle Katz (2:13.33/5:05.53/11:06.06) of Los Gatos HS had her best XC season to date and could be a threat in all three distance races in CCS. Feel free to comment on the above article. If you feel I missed anybody noteworthy, add their accomplishments and personal records below. Top 3 make state from SJS unless you can qualify by surpassing the 2013 At-Large Time Standards. Additions? Changes? Comments? Coming up...SJS Pre-Season Distance rankings for 800m., 1600m. and 3200m.